If there’s anything in the world more glorious than finding the perfect backpack for high school, we haven’t found it yet. Consider this your syllabus of all the best backpacks around for school. 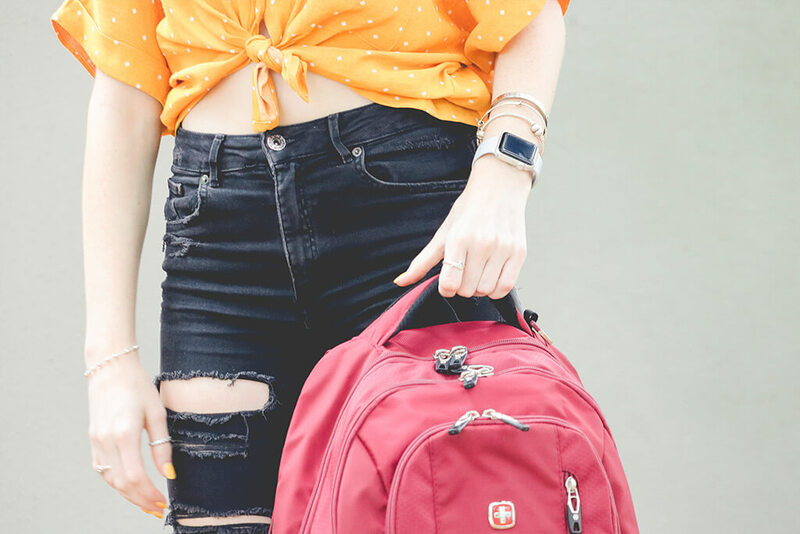 Bringing you the best backpacks for school, we aim to make this the ultimate bookbag guide on everything you need to make back to school successful this year. If you haven’t been studying up on cool backpacks, you’d better crack open some books and prepare for the pop quiz. 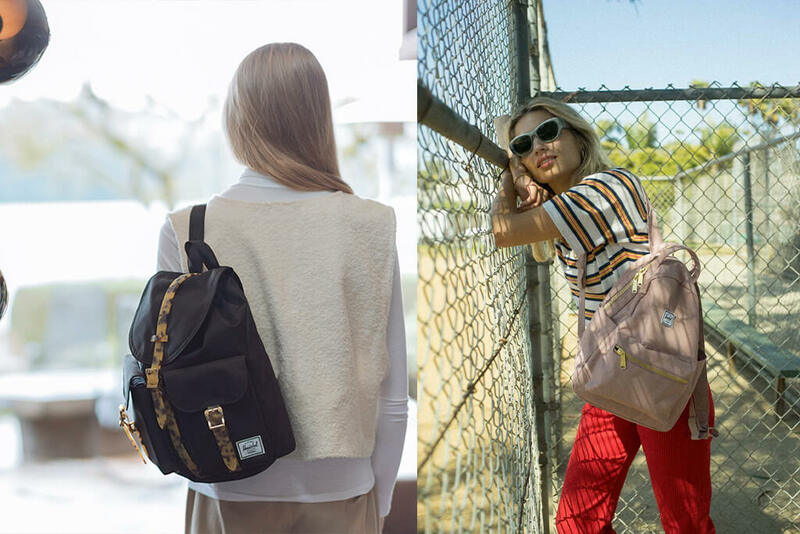 Whether you’re rocking a JanSport backpack or seeking out the best backpacks for girls in high school, now is your time to go straight to the head of the class. 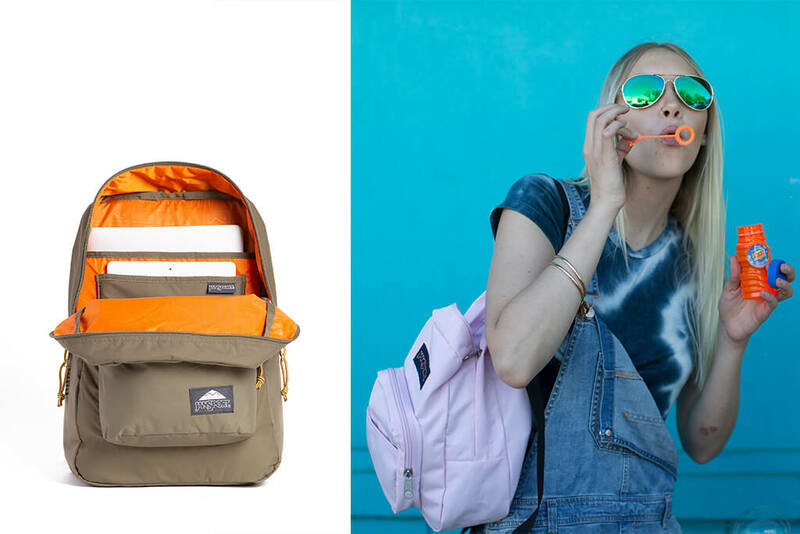 There’s a reason why JanSport has been popular with high school students since practically time immemorial. Back in the day, you see, bookbags were top loading. Of course, this did not make organization easy. Before Marie Kondo was doing her thing, the JanSport founders had the revolutionary idea to create a backpack that was separated by panels. Suddenly, students had a way to keep their books, lunch, and wallet all in the right compartments. Nowadays, though, they’re not the only backpack brand in town for high school students to select from. The JanSport Super FX LS backpack was crafted to accompany you on-the-go. Styled with brass hardware and a customized interior lining, nestle your 15” laptop and tablet inside designated sleeves integrated into the main zip compartment. Stay organized with its front organizer pockets and haul your gear comfortably with its padded shoulder straps. An embroidered American flag symbolizes its cultural mainstay. Brands like Fjallraven have been making a big splash with high school students as well. 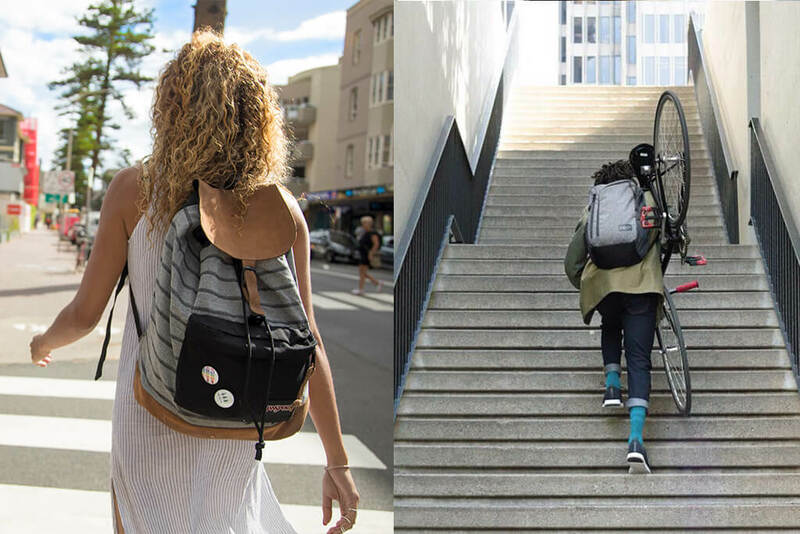 Although this company was originally conceived with the Scandinavian backpacker in mind, students tend to enjoy the rugged construction of these cool backpacks. Perhaps it surprises no one that many students still carry a torch for Vans. With a bold graphic design, Vans backpack brand has carved itself a special spot into the culture. Indeed, there is something unique and compelling about all of the aforementioned backpacks for school. It’s not always easy to find backpacks for girls in high school that possess all of the necessary qualities to make a splash in the new year. This is where a Herschel Supply Co backpack can change everything. Offering up an array of aesthetically pleasing backpacks, the Herschel Supply Co backpack line reminds us that there’s no reason why student style can’t be both functional and fashionable. The elegant exteriors of these bags belie the fact that their interiors are roomy enough for a mountain of school supplies. There’s a reason why the Herschel Supply Co backpack team has carved out a reputation for designing some of the best backpacks around, after all. These are the kinds of backpacks that can travel from high school to college without skipping a beat, meeting you wherever you are in life. Whether you decide to opt for a laptop backpack or you need a temporary stand-in for your Fortnite backpack, Herschel has got the goods. It’s proof positive that you don’t necessarily need a leather backpack or rolling backpacks to make a statement—although those are nice, too. When you’re buying your backpack, you want to fall in love; after all, it’s the only accessory you’ll use every single day of the school year. 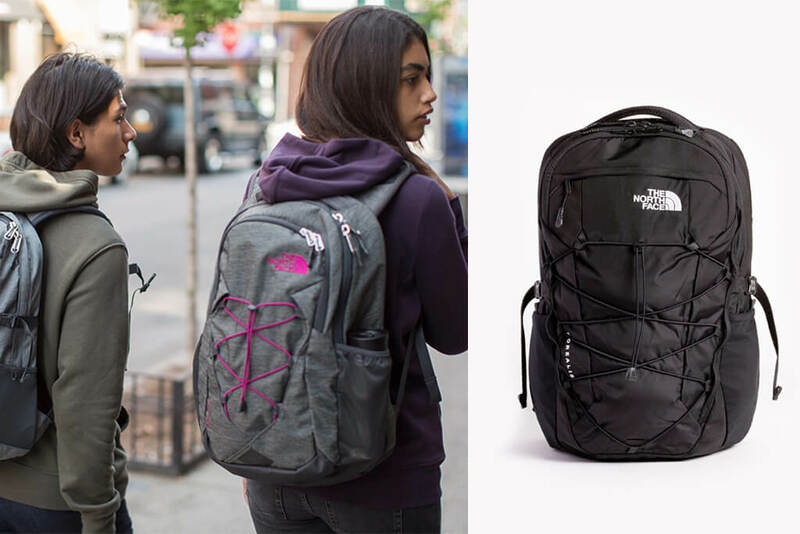 Just when you were thinking that the JanSport backpack is the king of cool for high schoolers, along comes the North Face backpack, which is triumphant in its own way. Don’t sleep on this bookbag—that is, unless you want to—at the end of the day, North Face is all about exploring the outdoors. The good news is that you won’t have to trek to Everest or Antarctica to locate the North Face backpack of your ultimate dreams. People sometimes typecast these bags as boys backpacks, but they’re truly for everyone. Just one glance at the current line will convince you that you need some wonderful wilderness in your own life. The North Face Borealis is a backpack built to withstand the demands of outdoor expeditions. This 28-liter pack features a redesigned brand suspension system that provides comfortable day-long wear. With the Borealis backpack, venturing outside does not necessarily mean leaving your electronics behind. This bookbag has a padded, fleece-lined 15” laptop sleeve and a tablet pocket. Crafted with 210D Cordura nylon mini-ripstop, this backpack is strapped with an external bungee cord that can carry extra school supplies and gear. It’s worth noting that this backpack brand is wildly popular as well. Right alongside the JanSport backpack, it’s one of the top-selling selections out there. Indeed, you’ll find that many North Face fans are incredibly loyal. These products are so good that they can become somewhat of an addiction. You never know, for instance, when a North Face puffer coat is going to lead to a backpack purchase so all of your ensembles look as snappy as possible. 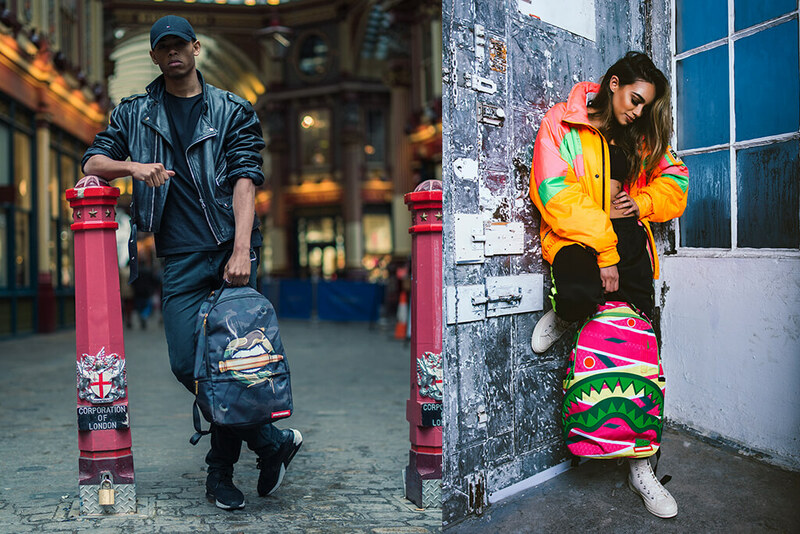 When you’re seeking out a backpack with a bit of a bite, it’s all about the Sprayground Backpack. This line features a variety of eye-catching graphic designs that conjure up an impossible amount of imagination. If you’ve always been curious about Zombie Ben Franklin, for example, then you may want to invest in a Sprayground backpack. These make excellent boys backpacks, but they’re also great for girls. Where else can you find an ugly sweater backpack with a shark on it? The inventive ideas for these backpacks provide pure inspiration throughout the school day going from class to class. Want a hover board bag? 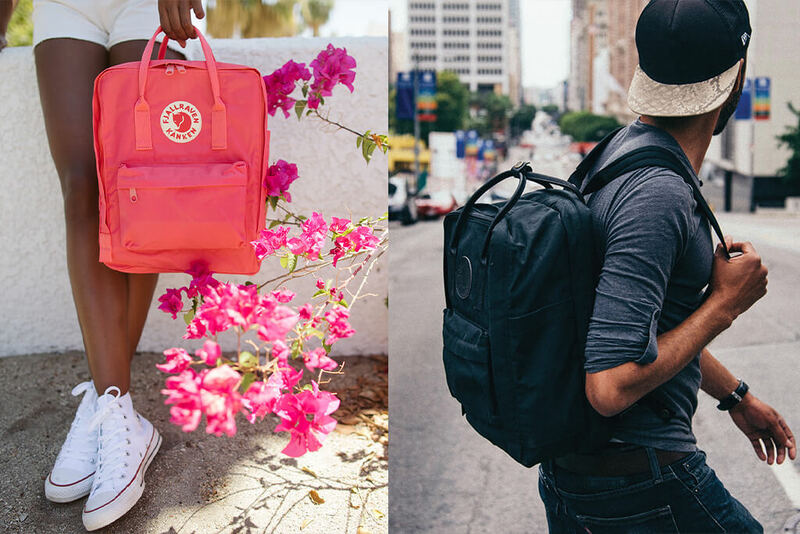 There’s a Sprayground backpack just for you. Combining both artistry and functionality, it’s easy to see why these backpacks appeal to creative types who are both in and out of school. The aesthetic rivals that of any major modern artist. Of course, the aforementioned bookbags aren’t the only ones that are making an entrance in high school hallways this year. A Kipling backpack, of course, is eternally in style. These days, the SwissGear backpack line has established a high level of popularity as well. Today’s students demand a lot of their bags. 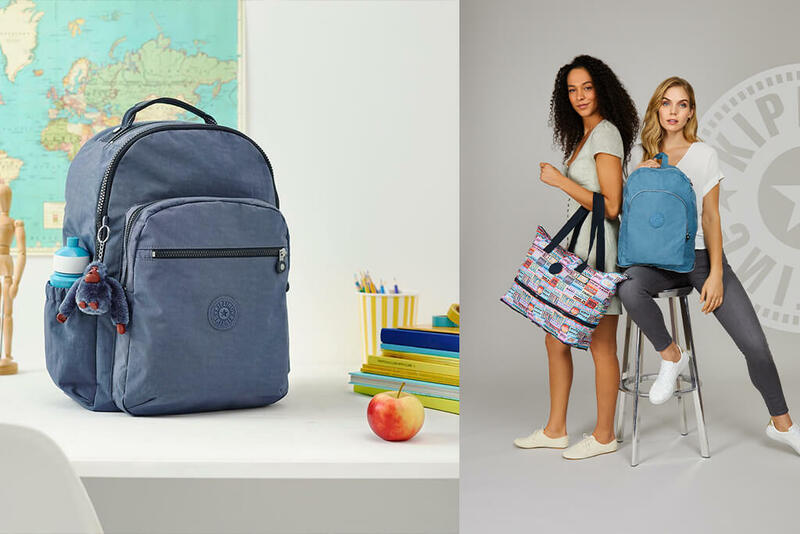 They want a backpack that’s stylish and secure enough to transport their electronics, a bag that is capable of ferrying all of their most prized school possessions around. In that spirit, the Dakine backpack happens to be another brand that has captured the hearts of many. 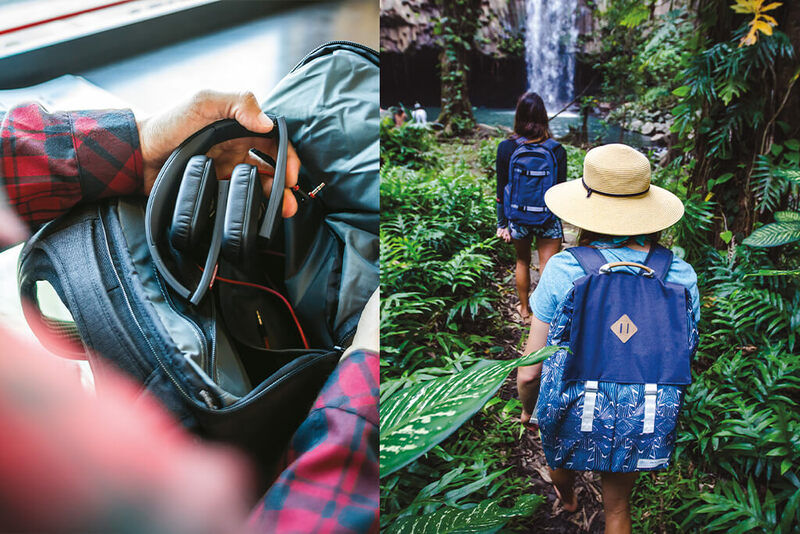 From camo to cosmo themes, this is the brand that truly boasts a backpack for every student or lover of the outdoors. After all, at the end of the day, it’s about finding the best backpack for high school students. All of the aforementioned backpacks have got your back—literally and metaphorically.